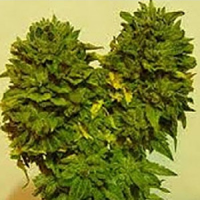 Super Mutant Mass Feminized Cannabis Seeds by Critical Mass Collective Seeds: The unique Shiva Skunk phenotype present in this strain displays a trait that ensures the plants greasy calyxes swelled way above any other skunk used in our trials and the greasiness of each calyx has also been maximised. This combined with the Monster Mass characteristics means that it is one of the heaviest producing strains in the CMC vault without any compromise on quality. 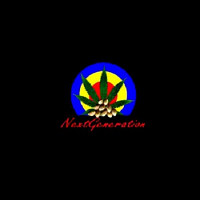 It will suit growers of all skill levels with novice growers finding her very easy to look after, and, after 60, stress free days of flowering the result is some of the dankest, skunkiest nugs imaginable. 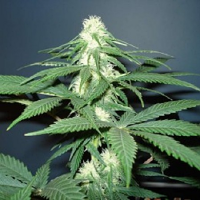 She exhibits long and sharply serrated leaves and the flowers are extra-large, tight, highly resinous, and absolutely reek of sour skunk, subtle lemon and pine. The taste mirrors the smell profile and will have you wanting her back in your garden year after year. As with all our photoperiod strains it is possible to push yields further by using various training techniques and it responds superbly to topping them early, producing numerous mutated monster size colas that are not far off the terminal cola in size and girth. SMELL: Seriously Sour Skunky background balanced with exotic woods, lemon, mango and many different variations of spice. The pine and exotic spices make for a very unique aroma profile. TASTE: Sour Skunk and spice with exotic wood mingling the two. Occasional sweet Honey and Caramel flavours can be noted, offsetting the deep sour earthy edge but the spices and wood are constantly apparent. EFFECT: A positive, focused and very uplifting high. Great for motivation and a winner when it comes to appetite stimulation, instantly clearing the mind it is hard hitting but very manageable and very well balanced. BAG APPEAL: Flowers are multi-tonal green and sometimes turquoise in colour with amber and gold hairs. The large, mutant calyx make for some high quality, medium density buds and each is seriously resinous; shining with a flawless connoisseur quality that screams luxury.